ChangeLab Solutions introduces the BLOCK Project, an initiative exploring the intersection of housing and health. 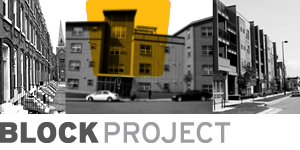 The BLOCK Project examines how housing policies and practices exacerbate health inequities, and identifies promising solutions. Decades of research have shown that safe, stable, affordable housing sets the foundation for health. Housing located near good schools, high-quality jobs, healthy food, safe parks, and dependable transportation can ensure communities prosper and thrive. Yet, housing policies have not been guided by a vision of healthy and equitable communities. Instead, many housing policies reinforce discrimination and economic exclusion, leading to disinvestment and inequitable health outcomes. These forces have compounded health disparities and made it difficult for local governments and institutions to ensure the health and wellbeing of all residents. We believe a vision of widespread health and prosperity should guide the future of housing and development in the United States. The laws and policies that shape housing markets and guide development have a significant effect on both goals. Decades of research have shown that safe, stable, affordable housing sets the foundation for health. Housing located near good schools, high-quality jobs, healthy food, safe parks, and dependable transportation can ensure communities prosper and thrive. ChangeLab Solutions’ BLOCK Project is highlighting opportunities local institutions have to create a healthy housing system, as well as limits to local initiatives that may be posed by regional, state, and federal contexts. We are telling this story by focusing on local institutions working at the intersection of health and housing: hospitals, public housing authorities, and public health agencies. These institutions have the ability to knit together investment and community leadership to improve both housing policies and health outcomes. They can leverage their substantial resources and wide reach. Join the Health & Housing Conversation! By joining the conversation about health and housing, we hope to amplify calls for housing that promotes equity, belonging, sustainability, and health. Our BLOCK pieces are posted in entirety as a Medium publication that we’re using to help ignite the conversation about what it takes to make healthy and equitable housing a reality in this country. Follow ChangeLab Solutions on Medium for future BLOCK Project updates, and subscribe to our emails for updates on all of ChangeLab Solutions' projects. If you currently work on local housing issues, please participate in our Health and Housing Community Survey to help us identify troublesome trends in local housing markets and learn more about your efforts to link health and housing. ChangeLab Solutions' BLOCK Project is generously funded by The Kresge Foundation and the MacArthur Foundation.